BLBCA Holds AGM | Backcountry Lodges of B.C. 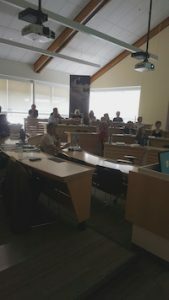 BLBCA Holds AGM | Backcountry Lodges of B.C. 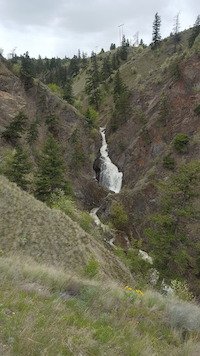 The BLBCA held its Annual General Meeting (AGM) this past week on June 7th – 8th, in Kamloops, BC. Members of the Association gathered for two days packed with industry-related information, updates from both the staff and BOD. The association welcomed several very informative sessions during the first day of the AGM. Featured speakers included Lorne Scarlett, Industry Specialist with WorkSafeBC; Stephanie Mallalieu, go2HR Industry Health and Safety Specialist; Tennessee Trent, Manager, Recreation, Sites and Trails BC; Tracy Ronmark, Ministry of Aboriginal Relations and Reconciliation; Aimee Epp, Marketing Co-op Programs Coordinator, Destination BC; Maria Delaney & Geoff Straight, Lifestyle Financial Services; Angela Dunlop Mackenzie & Bill Dunlop, Gougen Insurance Brokers; Ted Morton, MEC Canadian National & BC Enduro Series. There’s always time for a little fun, with the first day concluding with outdoor activities for attendees, including a local mountain bike ride to the Kamloops Bike Ranch and a hike through Peterson Creek. 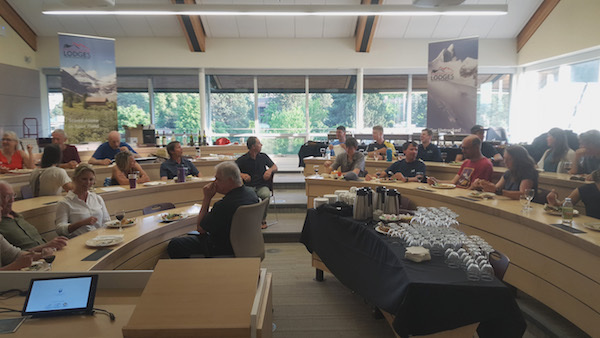 These activities were followed by dinner, where attendees could chat openly and discuss key industry info & learnings amongst themselves and with many of the presenters. The second day of meetings featured some BLBCA members sharing their thoughts on a number of key issues. BLBCA Executive Director, Brad Harrison reviewed the 2016-17 year, presented the BLBCA Marketing Report, Financial Statements and an update on the political, economic and activities in BC’s Adventure Tourism industry. President Ron Andrews provided the President’s report, including a number of suggestions for the BLBCA members. Tannis Dakin (Sorcerer Lodge) discussed the ins and outs of evacuation and health insurance. She also lead a spirited discussion around guest and operator responsibilities in these situations. Steve Conger, from Sorcerer Lodge, discussed avalanche and snowpack information sharing. The BLBCA is always exploring options to further expand the AGM. To discuss opportunities further or for all general inquiries on the BLBCA’s Annual General Meeting, please refer below.